Christos Tsakonas is Regional Head of Asia for Shipping, Offshore and Logistics for DNB Bank ASA. Prior to that he held the position of Head of Greek Shipping for DNB and was in charge of the bank’s Greek office for 6 years. Before joining DNB he was working for JPMorgan Chase Bank in London for 10 years where he held positions in the Special Situations and Restructuring Groups as well the Corporate Finance team focusing on Transportation and Media & Telecommunications. He also worked as a Teaching Associate at the London School of Economics and a Research Associate at STICERD. 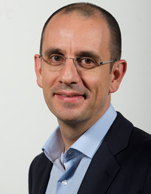 Christos Tsakonas holds a BSc and MSc in Economics from the London School of Economics.